This service is staffed by Catherine Maguire, Senior Clinical Psychologist & Infant Mental Health Specialist & Dr. Nicola Lally, Clinical Psychologist. It offers Consultation, Triaging, Assessment, Diagnosis, & Therapeutic Intervention for a wide range of mild to moderate social and emotional problems that occur from infancy up to the adolescent years. 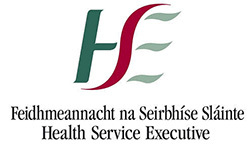 The service has also developed an innovative Infant Mental Health (IMH) Programme which has been integrated into the service provision for infants and toddlers aged 0-3 years, and their caregivers.